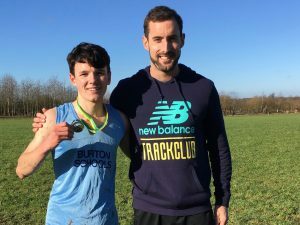 It all took-off at Tipton Harriers Athletics Club, with the 1 mile event clocking 04:24.3 beating Ron Harris’ longstanding U17Mens record set in the 80s. It was a fairly consistent pace with Callum finishing fourth just behind Sutton’s Shaun Evans. One week later Callum went up to Manchester to take part in his first ever BMC Gold Standard race. He covered the first 400m in 56 seconds followed by a 58 second last lap. 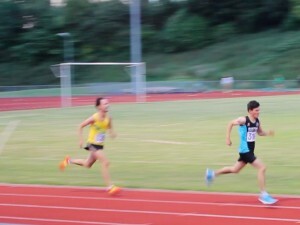 This ensured him of breaking another 1980’s record clocking 1:54.45; Stuart Maynes 1986 800m time of 1:55.1 had been broken. 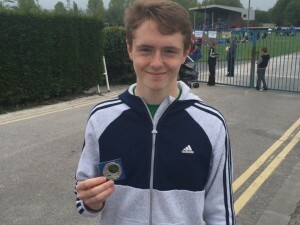 The main goal of Callum’s season was to break the 4 minute 1500m barrier codename #operation359. The session 48 hours before the race gave me a clear indication that he was in sub 4 pace. We headed to Oxford to run on the famous Roger Bannister Athletics Track on Iffley Road to compete in the second heat. Upon arrival Callum was clearly not well and shouldn’t have left his home. 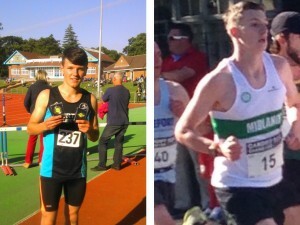 However, after a brief talk he decided to commit and ran a superb 4:00.00 taking his first BMC victory. Yes he was frustrated but delighted by the fact he was ill, knowingly will run a lot quicker. Despite flu like symptoms he ran a perfectly even race: 64, 64 (2:08), 64 (3:12), and finishing with a 48 second 300m.